If you think garage door springs are so durable that they don’t require any form of maintenance, you are mistaken. While they are mostly concealed, they serve a vital role in the opening and closing of the door of your garage. In fact, when you have an electric garage door opener, most of force used in opening the door does not come from the motor of the door opener or operator. They usually come from the tension of the torsion springs that is only being harnessed by the door opener. That’s why if you have broken springs, your door opener practically becomes useless. If you have defective or weakened springs, you can expect to encounter problems sometime soon. Our service personnel at “Garage Door Repair Lockhart” are highly competent and thoroughly experienced when it comes to maintaining and repairing the springs in the door of your garage. We can guarantee that your door will be back to its optimum condition and that related issues are properly addressed. Of course, aside from fixing spring defects, we check for other concerns that may be responsible for the faster degradation of the springs. 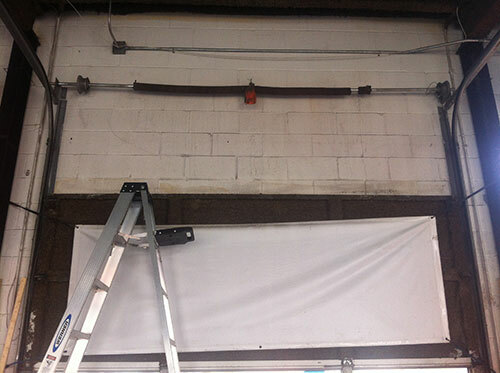 There could be a problem in the balance of your overhead garage door. Something could be wrong with your garage door tracks or hinges. We make sure that we are not only addressing the conspicuous problems. We carefully examine everything when we do our garage door repair so defects don’t recur. Garage Door Repair Lockhart also provides maintenance solutions for those who are unsure of what to be done to keep their door springs at their best condition. Of course, these maintenance solutions also cover other parts of a door, especially the door opener or operator. We can do comprehensive inspections, adjustments, and replacements of weakened or damaged parts to prevent problems that will cause your door to malfunction or erratically function. Don’t hesitate to contact us to know more about the services we can do for you, or to set a date for the maintenance or repair service you need.